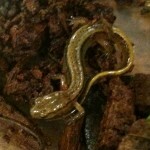 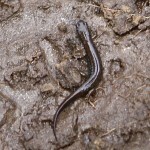 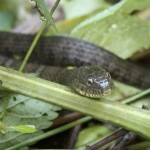 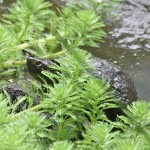 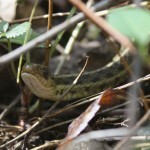 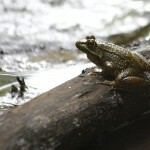 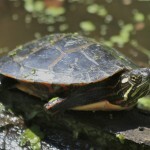 This reptile and amphibian list includes sightings in Glen Providence Park that we entered on the Pennsylvania Amphibian and Reptile Survey (PARS) database. 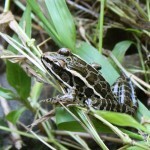 PARS is a joint venture between the PA Fish & Boat Commission and the Mid-Atlantic Center for Herpetology and Conservation, and this project will provide them with valuable data for study and conservation of amphibians and reptiles (“herps”). 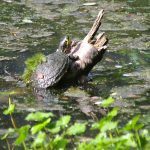 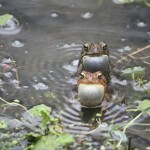 For our 2014 Citizen Science project, we entered our photo-documented herp sightings in the park back to 2003, and we continue to add our sightings. 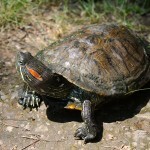 To protect sensitive reptiles and amphibians, exact locations are only viewable by the PARS reviewers and the PA Fish & Boat Commission – entries are publicly listed by county only. 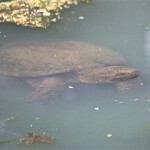 After consulting with PARS, we decided to report our sightings of common species with the user name Friends of Glen Providence Park, but we anonymously report any sensitive species in the park (anything ranging from species of special concern to endangered species). 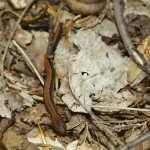 Thank you to Holly Hoffmann for the photo of the Northern Two-lined Salamander, and to Walt Cressler for the photo of the Northern Brownsnake. 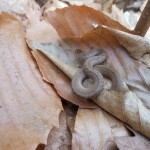 Remainder of photos by Stephanie Gaboriault. 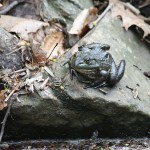 All photos taken in Glen Providence Park. 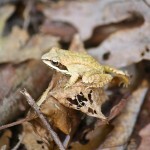 And since it would be difficult to get a picture of the nocturnal Northern Spring Peeper, we will add a recording of them calling in the park, with the Broomall’s Dam waterfall in the background.